An intern is inexperienced and probably super nervous. Letting them know exactly where they stand is going to make things much easier for both of you. It’s up to you to give them the information they need to fit in and get things done. What will their day-to-day activities be? What should they have completed by the end of each day? What is the dress code and does is change depending on what you’re working on? Is it okay to wear jeans on Fridays? Or in The Simplifiers’ office – are red capes compulsory? Who is the point-of-contact for questions? Are lunch breaks scheduled or more casual? What should your intern do if they are too sick to come into work? An intern has to adapt to not only to your company’s unique culture but also may never have been in a similar working environment before. Heck, they may have never worked in a professional office environment before nor know how to install the printer. Tell them what the rules are even if they seem obvious to you. This way, you both know where you stand and can work with confidence. 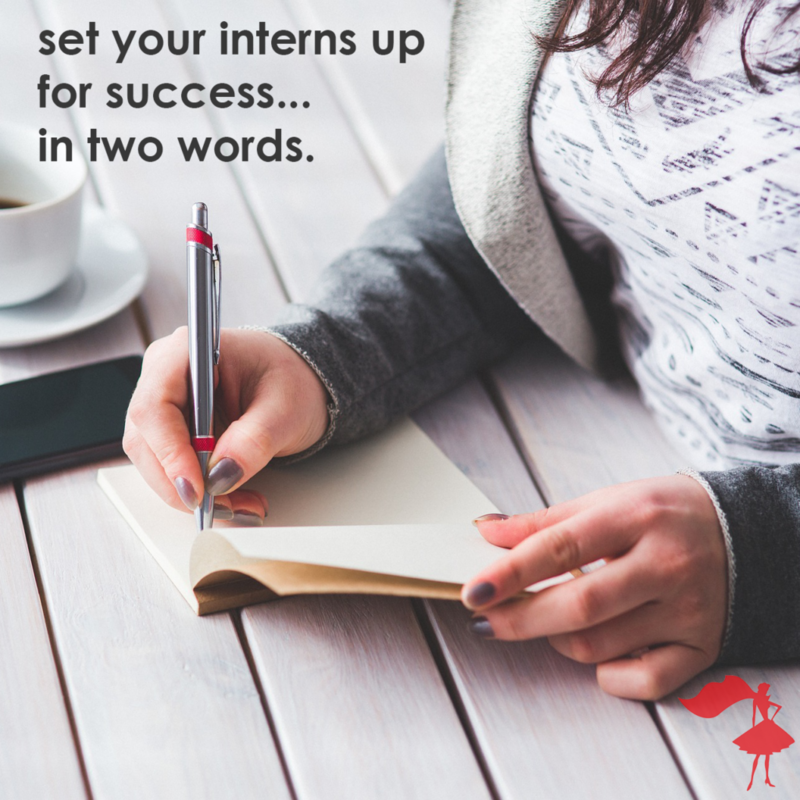 You can trust your intern to cover the basics the way you want them to, without feeling like you need to babysit them all day. Meanwhile, your intern won’t be panicking that they’re doing every little thing wrong. 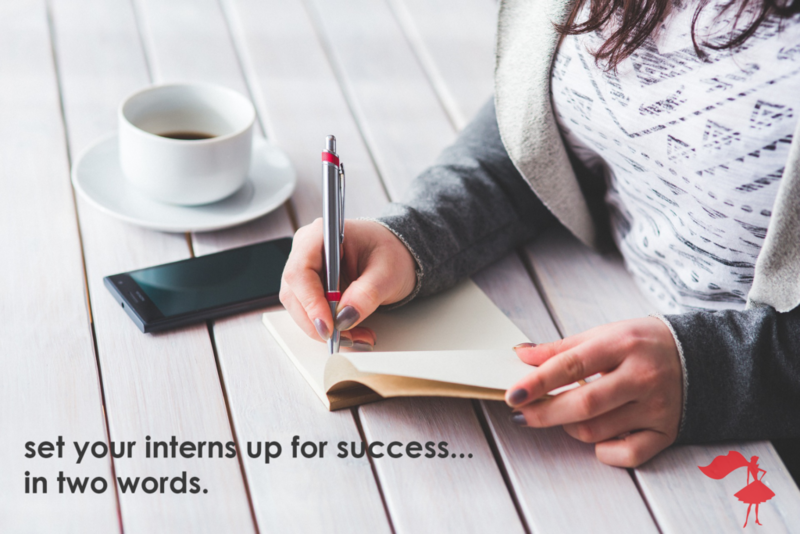 What questions do you ask/answer when onboarding a new intern? Leave a comment below and share your best practices!